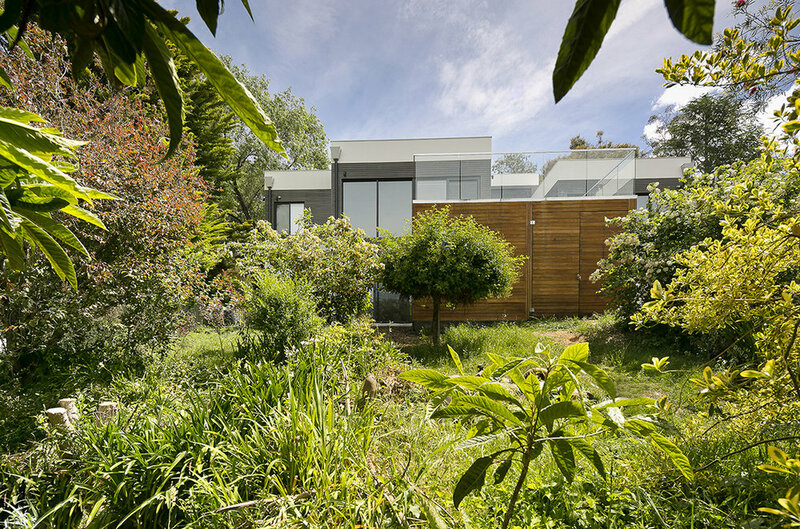 The Dryandra Street house design response explores dwelling themes of refuge and prospect. The steep site offers amazing views to the east across central Canberra. The house has minimal openings to Dryandra Street as this façade faces west. This also hides the joy that is experienced once entering the front door past the private courtyard. 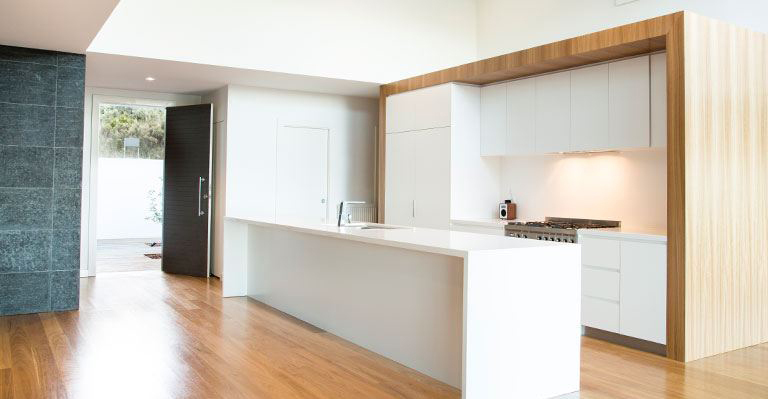 Spatially, the home is defined by the kitchen location as a central hub for the family. The kitchen opens to the dining and family room with an abundance of full height glass beyond to exploit the views across Canberra. A separate living room is located behind the kitchen that can be shut off from the rest of the living areas which allows flexible living arrangements. The bedrooms are accessed from a hallway that is separated from the living areas via a stair which connects the rumpus and laundry a level below. The material palette is simple natural and elegant. 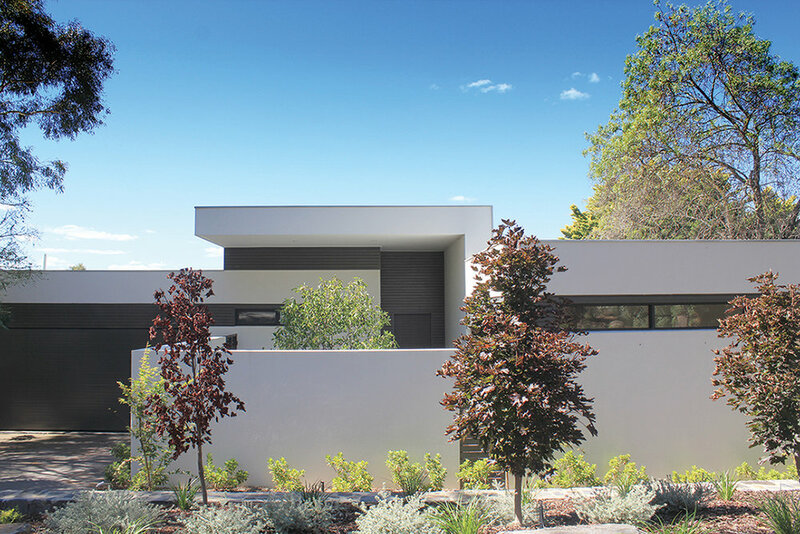 A combination of white cement render walls and solid ash cladding articulates the external façade. The internal space continues the timber theme as flooring and joinery veneer, whist a bold basalt clad pod compliments the crisp white walls and timber flooring.